I shared in that post the reasons why I was going to do this , and that I have loved co - sleeping , but we needed a bit more routine when it came to sleeping. Anyway we are now on day 3 and it is going pretty well. I started Monday evening . The plan was to let her fall asleep on the bed and then transfer her into the cot , hopefully that way she wouldn’t be unsettled and upset . So Monday evening , I did that and then went downstairs , put the kettle on and got ready for Love island. I’m not going to lie, I was so excited to be sitting downstairs in the evening , as I hadn’t done this for a very long time , due to worrying if Nila would fall off the bed. I watched Love island , peace free and went to bed . She woke up about 2AM and I made a make shift bed beside the cot and just ‘shsss’ her , hopefully you know the shssshing I’m talking about here :). She was wide awake but I persevered and she finally nodded off after 2 hours , but I was still bloody chuffed and so proud of myself for not caving in and sticking her in the bed . Tuesday came and she fell asleep in the buggy after the school run , which she normally does for her morning nap. Lunch nap came and I thought I would try her in the cot . She didn’t like that at all, she was so upset bless her but I laid beside her and eventually after just over an hour she fell asleep. Tuesday bedtime took 40 minutes and she woke up once during the night , I put her dummy in and she went back to sleep. 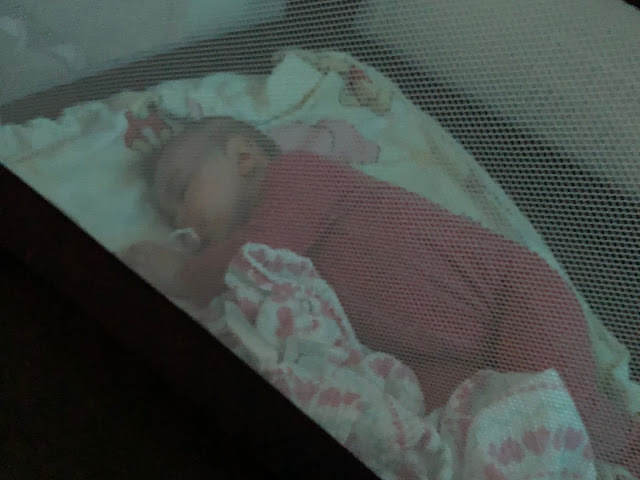 Tonight she had her morning and lunch nap in the car as we were out all day and then fell asleep whilst having her bedtime bottle at night so I transferred her into the cot asleep and touch wood as I’m writing this at nearly midnight she is fast asleep and hasn't woke up. I know there are going to be good and bad days and we are only 3 days in but my baby girl is such a trooper and I am so proud of her . Mummy on the other hand is a little upset our co sleeping journey has ended, but I know we all needed this change to go forward and for me to regain myself again . Awww it sounds like it's going so well, I hope it continues to go well for you both! Co-sleeping is good for the soul but so is regaining some kind of workable routine! I know how you feel. Glad it's progressing well for you.